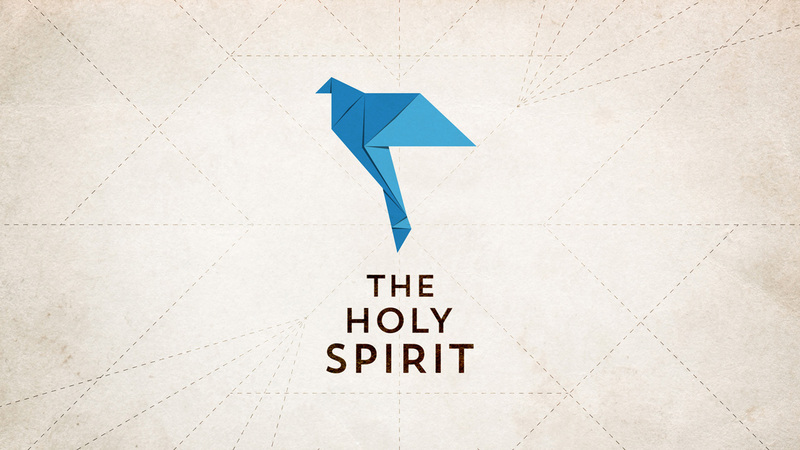 This article is part one of a three part series on the Holy Spirit by Gary Millar. To read the article in it’s original context please go to The Gospel Coalition Australia. Even though I’m Irish, I have known Don Bradman’s Test batting average is 99.94 since I was a kid. I knew that he was out for a duck in his last innings, when he only needed four runs to secure a career average of 100. I knew that Eric Hollies was the bowler, and that the match was played at the Kennington Oval in London in 1948. But what I didn’t know was that Arthur Morris – batting at the other end – went on to score 196, and helped Australia secure victory in three days. If I were Arthur Morris, I’d be a bit sore to be forgotten like that! And I suspect that if I were the Holy Spirit, I’d be similarly sore about the way people overlook my role in God’s work today. I suspect that if I were the Holy Spirit, I’d be sore about the way people overlook my role in God’s work today. Of course, I’m not the Holy Spirit, and as we’ll see, the Spirit loves nothing more than to direct our attention to the beauty, power and holiness of the Father and the Son. But that doesn’t mean it’s okay to neglect the Spirit in our thinking, conversation and church life. We need to re-examine the Bible, repent and change. The Holy Spirit is the third person of the Trinity, yet many Christians act as if the Spirit were little more than an impersonal “force” – like the Star Wars “Force”. Scripture teaches us that the Father, the Son, and the Holy Spirit each has his own subsistence distinguished by characteristics – yet in such a way that these three persons are only one God.It is evident then that the Father is not the Son and that the Son is not the Father, and that likewise the Holy Spirit is neither the Father nor the Son. Nevertheless, these persons, thus distinct, are neither divided nor fused or mixed together. Here we have a clear acknowledgement that the Spirit is personal, and that he is equal with the Father and the Son. And this is a faithful summary of what Scripture teaches. From the beginning of the Bible, there are strong hints that there is more to God than simple “oneness” (see Gen 1:2; 6:3; Prov 8:12-31). In the major Prophets, we find clearer pointers to the Spirit’s “personality”. Ezekiel, in particular, makes it very clear that the Spirit is not simply the “power” of God, but one who acts and speaks with the initiative and creativity of God himself (see e.g. Eze 1:12, 20; 2:2; 3:12, 14; 8:3; 11:1, 5). The personality of the Spirit then becomes unavoidable when we come to the New Testament. Throughout Jesus’ ministry, from baptism to last supper (John 14-17), we see the Spirit revealed as God in the same way that the Father and the Son are God (so, for example, John 7:39; 15:26). It’s surprising, in light of this, that so many of our gatherings make little or no reference to the Holy Spirit. It’s not that the Holy Spirit wants to be front and centre – he wants to direct attention to the Father and the Son. But there is a difference between respecting the self-effacing nature of the Spirit, and completely ignoring him. We must make a substantial and concerted effort to make sure that our thinking, speaking and gatherings are essentially Trinitarian. We worship a God who is Father, Son and Spirit. 2. The Holy Spirit lives in us, bringing us life. in the promises given to Ezekiel (36:24-30; 37) and Joel (2:28-29). In the ministry of Jesus himself, one of the greatest encouragements and privileges held out to us is that God himself will come and live in us through the Spirit. “It is the Spirit,” living in us, “who gives life,” (John 6:63). The gift of the Spirit, through Jesus is the antidote to human separation from God which goes back to the Fall. The Spirit makes intimacy with God possible once again. His presence anticipates the reconciliation of God with his people – and in fact the whole cosmos (see e.g. Isa 34:16; 42:5; 44:3; also Joel 2:28). This news that the Spirit is joining us to Christ, bringing us to new life, is powerful, comforting and energising. This reconciling and life-giving work of the Spirit features prominently in the ministry of the apostles. It is a central theme for Paul (see Rom 1:4; 8:11; 1 Cor 6:11; 12:13; 2 Cor 4:13; Gal 6:8; 1 Thess 1:5; 2 Tim 1:14; 2 Tim 1:4); and for John too (see e.g. 1 John 3:24; 4:13). The grace of faith, whereby the elect are enabled to believe to the saving of their souls, is the work of the Spirit of Christ in their hearts, and is ordinarily wrought by the ministry of the Word … The clear and comforting teaching of the Bible is that God pours out his Spirit into our lives, and the Spirit both brings us to life through faith, awakened by the gospel, and then takes up permanent residence in our lives. These are just two of the amazing things the Bible has to tell us about the Spirit and his ministry. In our next post we’ll look at how the Spirit enables us to speak about Jesus, live like Jesus, and share in Jesus’ relationship to God the Father. This is the first article from Gary Millar’s 2015 three part series on Recovering the doctrine of the Holy Spirit. This series was originally written for The Gospel Coalition Australia.